I wore running shorts today. I’m amazed how it turned out! this shorts can be worn as a casual wear! :) and the thing is its color neon!! luv luv! 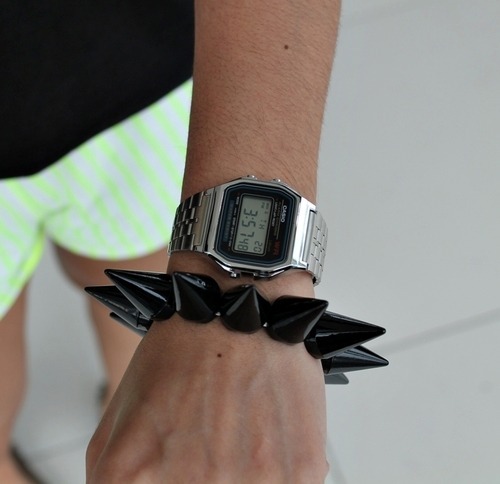 for my accessories,my all time fave,casio 159 illuminator so vintage! I can’t get enough of spikes! this super fab shoes are from PILL. hi mary! this is from dudzi! http://www.facebook.com/DUDZicom?fref=ts :) thanks so much!